Last Week: Close. Friday looked right on, but Saturday ended up being a little windier than I thought and it was rideable for a few hours close to 20 knots. Sunday, I don’t think anywhere was windy enough. Today: Looks likes it has the ingredients for a summer thermal at Little Sable Point and Pt Betsie. I’d say around 15 to 20 knots coming up late morning through the afternoon. Saturday: Looks very calm in the southern half of lake Michigan, but there will be a little flow in the northern half of lake Michigan. This should allow for a thermal wind to develop at Pt Betsie. 15 to 20 knots. Sunday: Looks like there could be a thermal wind at Pt Betsie, but it’s tough to say for sure. It could easily change by Sunday. It’s looking like a pretty calm weekend unless you willing to hit the road and take a chance on one of the points, today looking the best. Otherwise, the weather looks nice for the weekend. Have a good one! 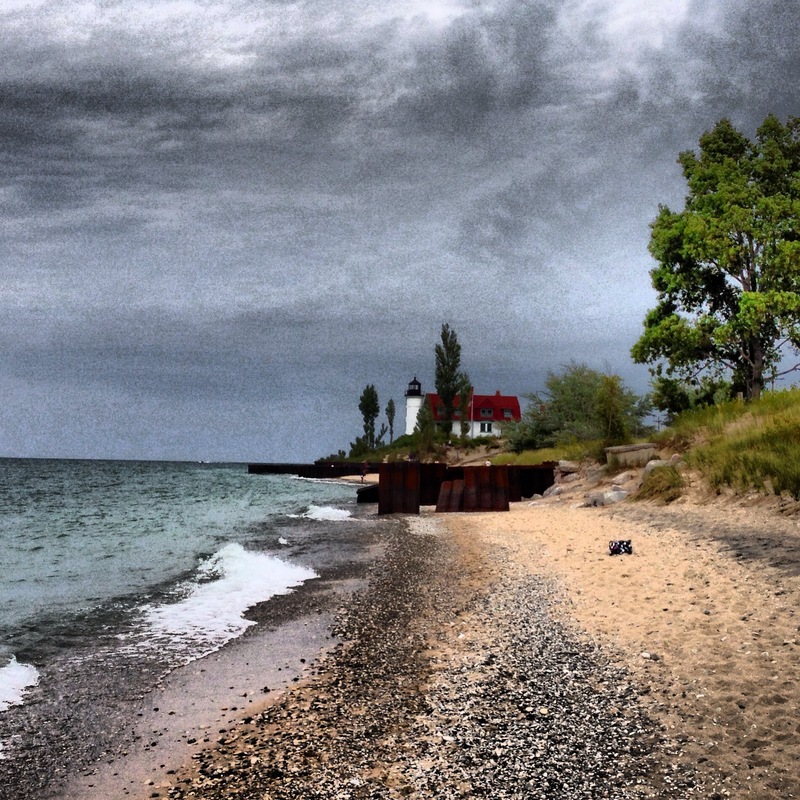 Little light at point betsie today but still people were riding on big kites and big boards.